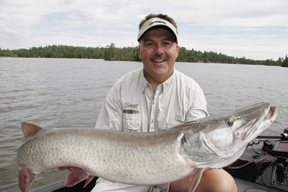 Steve Heiting is the managing editor of Musky Hunter magazine, North America’s largest magazine dedicated to musky fishing, and has become one of the sport’s best-known anglers. 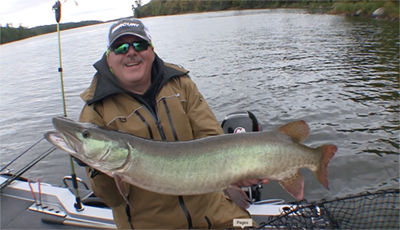 Although his home is northern Wisconsin, Steve is a well-traveled angler and has caught big muskies from the northern-most musky lake in Ontario to as far south as Kentucky. 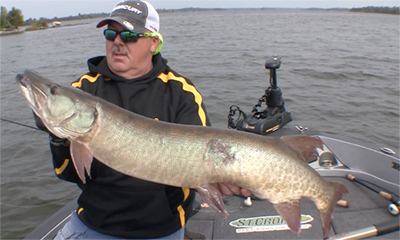 Steve is co-owner of the University of Esox Musky Schools and conducts seminars for sport shows and fishing clubs throughout the Midwest. Each year he serves as the master of ceremonies for the National Championship Musky Open, the largest musky tournament in the world. In 2018, Steve was the lead presenter at the first-ever college musky fishing course ever conducted. The class was part of the 50th anniversary celebration at Nicolet College in Rhinelander, Wisconsin. Steve has written three books. His newest book, Hunting Northwoods Bucks, was just released and is available by clicking here. Steve’s second book, The Complete Guide to Musky Hunting, which he co-authored with Jim Saric, is in its second edition. His first, Musky Mastery: The Techniques of Top Guides is now available in a 25th anniversary edition. It is available by clicking here. The digital edition of Musky Mastery is available by clicking here. 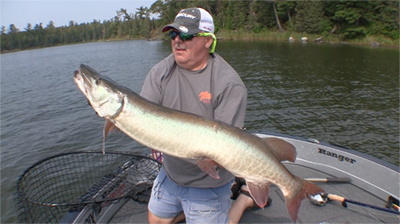 Steve has edited or contributed to 25 musky books and has produced five musky fishing DVDs. Steve’s fishing tactics have been featured in articles in In-Fisherman, Field & Stream, Outdoor Life, Bass Pro Shops Outdoor World, and Wisconsin Outdoor News magazines; and he was a featured guide in three books. He is also a contributing writer to Wisconsin Outdoor News, providing vital musky information to the readers of the state’s largest outdoor publication. His articles and photographs have appeared in more than two dozen magazines and newspapers covering the outdoor sports. 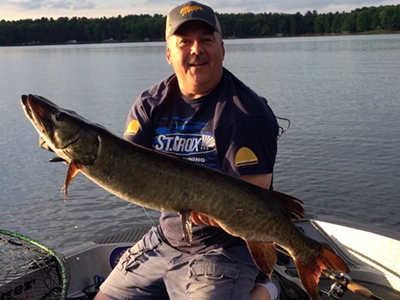 For 12 years, Steve was one of northern Wisconsin’s best-known musky guides. Though not a tournament angler, he has fished successfully in those he has entered, including a third place finish in the PMTT’s Invitational Championship at the conclusion of the one year he fished the trail. An avid hunter, Steve is keenly aware of how the environment affects the habits of all creatures, from muskies to white-tailed deer to wild turkeys. Steve is on the pro teams of Ranger, Mercury, St. Croix, Mepps, Shoeder’s Marina, Minn Kota, Humminbird and Stealth Tackle. He earned a bachelor of science degree in communication from the University of Wisconsin-Stevens Point, graduating in 1982. Steve and his wife, Connie, live near Minocqua, Wisconsin.